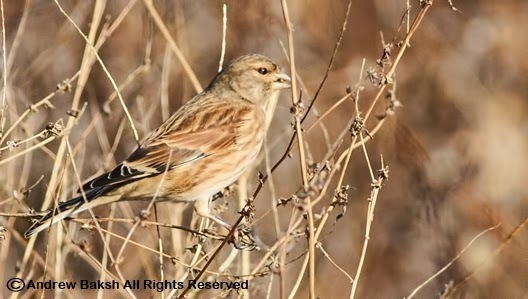 Kissena Park Corridor has produced some exotic beauties this year like Long Tailed Whydah, Budgerigar, Common Linnet and European Goldfinch. Presumably, all are escaped birds who find Kissena Corridor a welcoming abode for shelter and food. 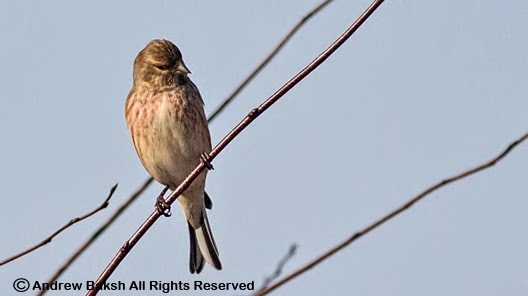 I had seen 2 out of the 4 until yesterday when I finally caught up with the Common Linnet. 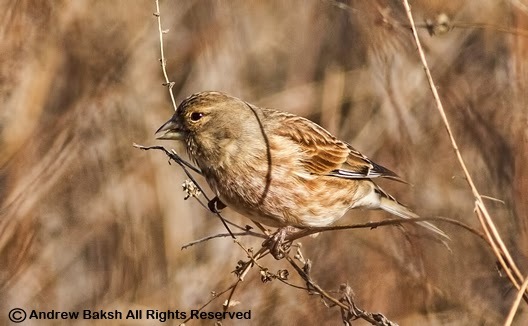 This finch like bird, breeds in Europe, western Asia and north Africa. The provenance of this bird, is sure to lean more towards the escapee side but nevertheless it is a neat little bird. So far, it has shown its hardiness to survive the cold spells we have had; it will be interesting to see how long it continues to be seen.